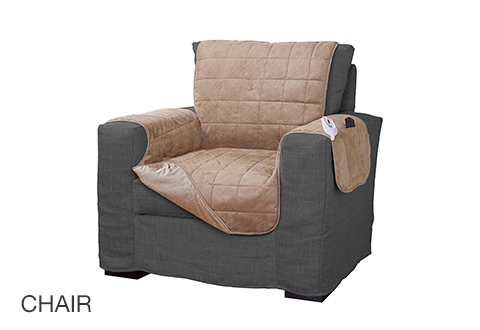 Cozy up on your couch, loveseat or chair with our Ultra-Plush Warming Furniture Protectors. 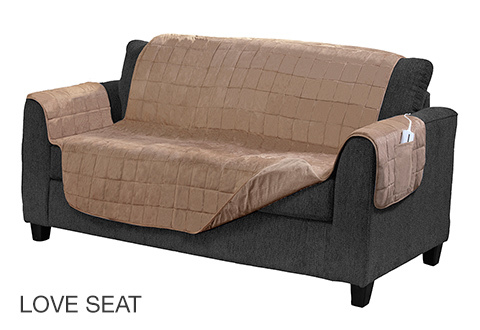 These supersoft covers are made of tan-colored microsuede fabric, with a reverse non-skid backing to ensure they stay in place. Best of all, they feature patented low-voltage heating technology that distributes warmth evenly, so there are no hot spots or cold spots. Features four adjustable warming levels, side pockets and auto-shutoff. Machine washable, available for sofa, love seat or chair. 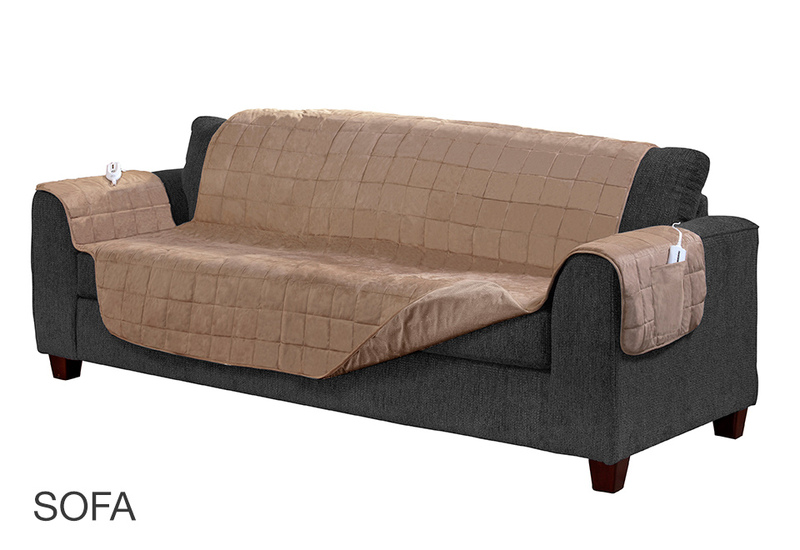 Ultra-Plush Warming Furniture Protectors warm you up as they protect your furniture. Patented low-voltage heating technology distributes heat evenly so there are no hot spots or cold spots. • Sofa measures 70" X 65"
• Love Seat measures 48" X 65"
• Chair measures 23" X 65"